Hey Siri, where's the global love? But for everyone else around the world, pressing the microphone button on the new controller will instead "open the onscreen search app". 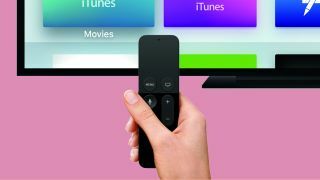 Exactly what that entails is yet to be seen, although we'd expect it to resemble the current search function on the Apple TV, with a more integrated approach across the new range of Apple TV apps. That's not to say that Siri support will never come to countries outside of those initial eight, but it's definitely worth taking into account before you rush out to pre-order the device.